Achieving permanent weight loss with behaviorism. After years of dieting failure, I had become convinced I was born to be fat. In my early 30’s I had been trying to get control of my weight on and off for 25 years, with my first doctors diet at 7 years old. After 25 years of yo-yo dieting, I became convinced I was born to be fat. It was in my genes, my DNA, I thought, and no matter what I did, I’d be severely overweight. The problem was, it was killing me. If I was not able to change it, I was possibly near the end of my life, at 33, with young kids and a whole life to be lived if I were not obese. When I was 33, all my years of learning bore fruit. I lost 140 pounds and have maintained an ideal 180 lbs. for 30 years. Here’s what happened. In all those years of failed dieting and exercise attempts, I learned a lot. I learned about the sciences of nutrition and physiology, and that an obesity problem is really a lifestyle problem. If you habitually eat more calories than you burn, you’ll become chronically overweight, and the solution is in controlling your habits, developing habits where you eat fewer calories than you burn. The problem was, self-control didn’t work. I could not get control of my habits. They controlled me. More important than learning about nutrition and physiology, was learning about behaviorism. By serendipitous good fortune, I gravitated to the study of psychology when I was older. I learned that rather than choose our habits, we get unknowingly programmed by a process of conditioning and “hypnosis” that we really aren’t aware of. I became interested in addictions, sensing my habits were like them, and went into the work of helping people get control of their addictions and addictive behavior. By applying the principles of science and behavior therapy, I developed and succeeded with a method that helps people change. It helped me to permanently solve my weight problem, and it’s helped others too. 1) Your weight is the result of your energy balance. Eat more calories than you burn and you’ll gain weight. Eat fewer calories than you burn and you’ll lose weight. 2) To lose and manage weight, it requires more than just learning about the calories in food and what your body uses. You need to permanently acquire the habits of eating the right balance, so that weight management becomes automatic and natural. 3) Acquiring the right habits is not a matter of intellect and will power. It is a result of training and conditioning in technique from the behavioral sciences. It is a matter of learning how to program yourself and master that part of yourself that manufactures your desires, urges, habits and feelings. 4) Diets and exercise crusades don’t work. Doing something for a while, even if you lose weight, and then going back to “normal”, will make you worse, not better. 5) Success comes not from denying yourself pleasure and good food, but by forming habits that are more pleasurable, with food that you really like that causes you to become healthy and fit instead of overweight. With study and effort, in time, you can become successful at permanent weight loss. I have discovered methods that are scientifically proven to work if you are able to apply them. It’s not easy, just like learning to play an instrument, earn a degree or master a sport is not easy. But there is no maybe about the efficacy. I have never had a client not lose weight following what I teach. I have volumes of information at my website (check the “Table of Contents” at the bottom left of the page) and I’ve written a book, now an eBook and audiobook, that explains everything I teach my clients. I hope it can help you too. William Anderson is a Licensed Mental Health Counselor who specializes in weight loss, eating disorders and addictions. He was an obese heavy smoker and workaholic until his early thirties, and burned out, but survived and changed direction. 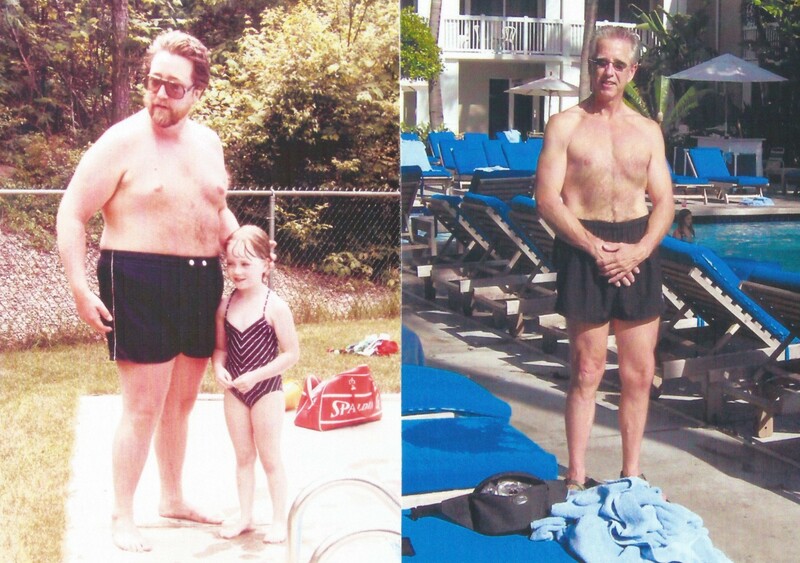 He changed in many ways, among them, losing 140 pounds permanently. Health, in a holistic way, is now his mission. He is the author of The Anderson Method of Permanent Weight Loss.